Dilutes Australia Ltd has a network of branches, promotion groups and members across the country so we are in the unique position of being able to offer good service to our members no matter where they are. We offer both local and national services, benefits and advantages not seen with associations who are legally state-based and whose membership bases are largely state based as well. For breeders this means ease of interstate sales as horses do not have be re-registered in their new state. For showies it means that you can show your dilute in other states without having to have it registered with an association in that state. 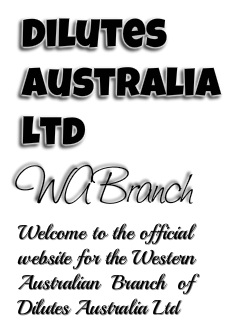 THINK BIG, THINK AUSTRALIA-WIDE, THINK DILUTES AUSTRALIA Ltd.